Foreign direct investments from Japan have been playing a major role in the rapid economic development of East Asia. Meanwhile, economic globalization and technological progress have been changing regional competition and income distribution. What strategies and policies are leading to innovation, economic growth, firm survival, and narrowing development gaps? 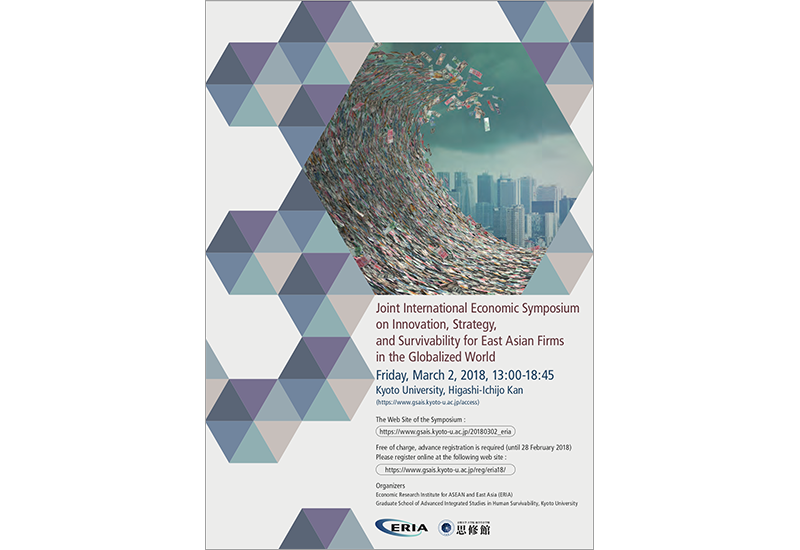 This symposium aims at exploring these challenging issues from the academic, industrial, and policy perspectives.